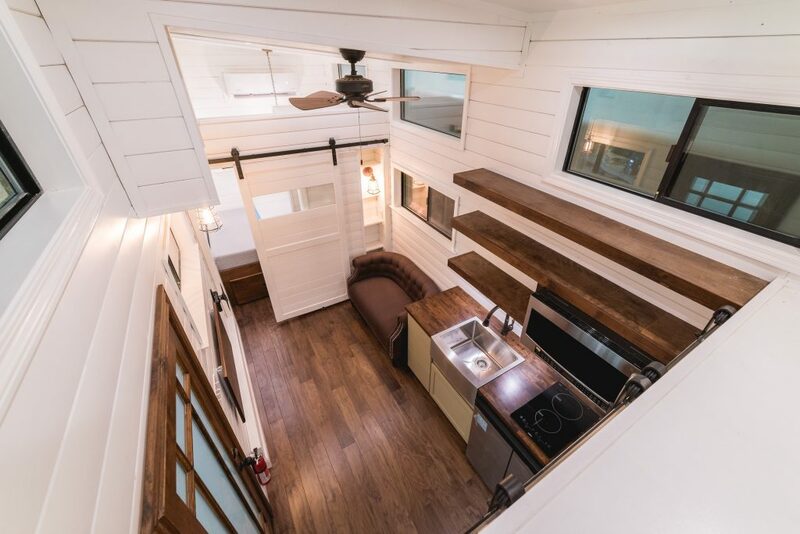 In our previous blog post on tiny homes, we looked at the tiny home trend and outlined some of the pros, cons and lifestyle considerations for those interested in pursuing this increasingly popular, yet untraditional approach to housing. One of the obvious benefits is affordability, as the mere reduction of square footage lowers costs in terms of materials, labor, energy and maintenance, to name a few. Tiny homes are built with the same types of materials, construction and aesthetics you find in larger, traditional residences. Not surprisingly, metal panels are a popular material choice. 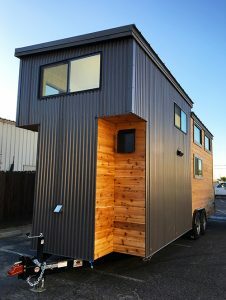 Here we’ll look at the mobility and customization aspects of tiny homes and the additional advantages of choosing metal panels for tiny home construction. 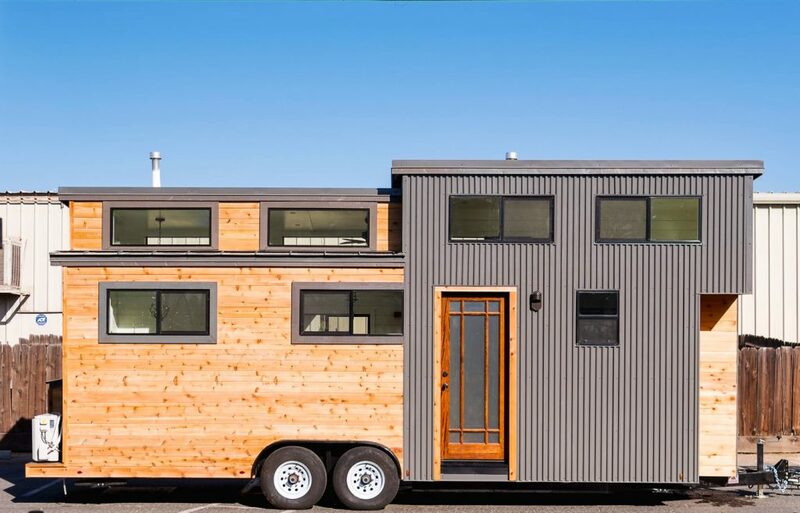 Tiny homes are typically built on trailer platforms with wheels (instead of a foundation), enabling them to be driven across the country. This mobility, however, demands that these homes are built to endure the hurricane-force winds of high-speed highway travel … no easy feat for any home. The Metal Panel Difference: To ensure they can travel 65 mph on highways into 20 mph winds (the equivalent wind-load of a stationary house during a hurricane), many tiny home builders are turning to metal panels instead of more traditional building materials. Unlike with asphalt composition roofs, metal roofs do not need to be covered every time they’re moved as there is no concern over losing shingles while in transit. Most homes purchased these days are significantly customizable and tiny homes are no exception. In addition to traditional customization like varying floor plans, paint color, floor material, fixture style, and interior and exterior decoration, there are also many eco-friendly customization options. Tiny homes can be built by recycling previously-used structures like shipping containers and transforming them into a living space, and can feature rainwater collection systems, composting toilets and solar array options for those looking to take their tiny homes “off the grid”. Tiny homes can also be made to be fully wheelchair accessible, as well as infant and toddler-friendly. The Metal Panel Difference: A common misconception is that metal panels are only suitable for commercial applications. However, because they are available in a wide variety of styles, profiles and colors, metal roof and wall panels complement any residential structure, including tiny homes, making it easy to find the look that’s right for you. Beyond color choice and overall aesthetics, metal panels are manufactured and produced to provide a higher-quality building material option, giving you the aesthetic you want along with the durability you need. The benefits metal panels offer make their use for tiny home building a no-brainer. While homes made from other materials lose value over time, metal roofs provide long-term performance and environmental benefits, cost efficiencies and extended durability for the tiny home community. For more information on ABC’s metal panels, visit our website or contact a representative today. In the next installment of our Tiny Home series, where we go into further detail about the considerations and advantages of metal panels for tiny homes. Metal Panels for Tiny Homes: Part 2 will provide practical guidance on weather considerations, installation and maintenance.